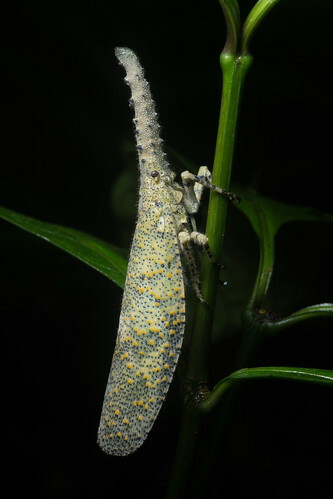 In my opinion the planthoppers and lantern bugs are some of the most interesting insects in Borneo. It was always a pleasure coming across them, some species were common and others were rather rare. This is atleast in my limited experience one of the rare ones. I saw one during my first field season and was only able to get a few shots as it sat on a doorframe at one of our field stations, however I was lucky that I had a more extended encounter with this one. It never budged during our photoshoot and I eventually left it just as I had found it. Potentially this could also be Zanna terminalis, I am not sure as to how to tell the difference between nobilis and terminalis.